NASA's New Horizons spacecraft has begun chasing down another distant, icy object. New Horizons, which in July performed the first-ever flyby of Pluto, fired up its engines yesterday (Oct. 22) in the first of four maneuvers designed to send the probe zooming past a small object called 2014 MU69 on Jan. 1, 2019. The 16-minute engine burn changed New Horizons' trajectory by about 22.4 mph (36 km/h), mission officials said. The other three upcoming maneuvers — which are scheduled for Oct. 25, Oct. 28 and Nov. 4 — will change the spacecraft's trajectory by a total of 127.5 mph (205 km/h), putting it on target for the 2019 encounter with 2014 MU69, which lies about 1 billion miles (1.6 billion kilometers) beyond Pluto's orbit. Several space pioneers shared their experiences this month regarding the Cold War Air Force program: The Manned Orbiting Laboratory. In the 1960s, the U.S. Air Force initiated a human spaceflight program to carry out experiments in space in a laboratory orbiting the Earth for an extended period of time. 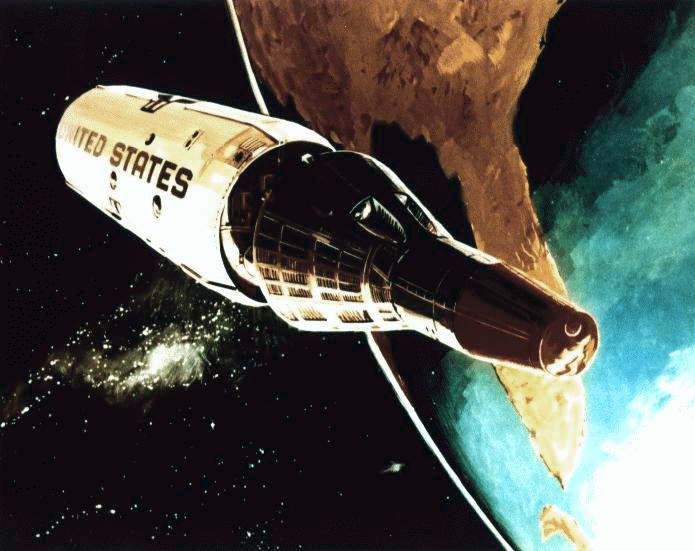 The Manned Orbiting Laboratory, or MOL, was to use USAF-modified NASA Gemini spacecraft to put two crewmen in a space station. MOL provided a platform for a highly secret program to gain Cold War intelligence on the Soviet Union and other adversaries. Four former MOL crew members — 17 astronauts were chosen for the program — were scheduled to take part in a presentation "The Dorian Files Revealed: The Manned Orbiting Laboratory Crew Members' Secret Mission in Space." A National Reconnaissance Office (NRO) Keyhole -10 camera was codenamed "Dorian." A tidal disruption was detected using multiple orbiting observatories by the All-Sky Automated Survey for Supernovae (ASAS-SN) in Nov. 2014. The event occurred in galaxy PGC 043234 about 290 million light years away from Earth. The disruption was caused by a star orbiting too close to the galaxy's black hole, and being caught in its tidal forces. NASA's first asteroid-sampling spacecraft is now fully assembled. Engineers and technicians at the aerospace firm Lockheed Martin have finished building the space agency's OSIRIS-REx probe, which is scheduled to launch toward the potentially hazardous asteroid Bennu in September 2016. "This is an exciting time for the program, as we now have a completed spacecraft and the team gets to test drive it, in a sense, before we actually fly it to Bennu," said Rich Kuhns, the OSIRIS-REx program manager at Lockheed Martin Space Systems, which will also provide flight operations for the mission. Scott Kelly officially broke the record for the most time spent in space by a U.S. astronaut on Oct. 13th. 2015, surpassing Mike Finke's record 381 days. The president called to congratulate him on the achievement on Oct. 19. NEW YORK -- When mathematician and painter Ed Belbruno spent his scientific work-life calculating orbital trajectories (the paths that spacecraft take through space), he says his paintings were beautiful but straightforward. Now, grappling with cosmology and the origins of the universe, his art has changed as well. A new collection of Belbruno's paintings, which will be on display Thursday (Oct. 22) from 5 p.m. to 9 p.m. EDT at Café Minerva in New York City, shows a leap into the unknown: art that is stranger, more chaotic and more ambitious than anything Belbruno has done before. They offer a colorful window into the mind of a mathematician processing the universe. Belbruno is an abstract expressionist, a category used to describe such works as the splatter paintings of Jackson Pollock, so his paintings can appear baffling, if beautiful, to non-experts. But approaching them with science in mind offers quite a different view. WASHINGTON — NASA has kicked off a two-step competition for the spacecraft bus to be used for a proposed mission to haul a chunk of an asteroid to lunar space for astronauts to visit later, according to a procurement note posted online Oct. 20. Those interested in providing the bus, or skeletal structure, for the agency’s proposed Asteroid Redirect Robotic Mission (ARRM) spacecraft can apply for a Phase 1 Conceptual Studies grant from NASA. Bids are due Nov. 16, with awards anticipated in spring 2016. Only companies that win a Phase 1 contract will be eligible for follow-on funding, NASA said. A gorgeous example of a phenomenon known as "light pillars" was captured in this breathtaking scene over Provincia de Buenos Aires, Argentina. Astrophotographer Sergio Emilio Montúfar Codoñer took this image on July 20 using a Sony A7 camera with a 14mm f/2.8 Rokinon lens and an Iso 8000. The image combines seven vertical images into a single panorama that documents a series of light pillars at General Belgrano, Provincia de Buenos Aires, Argentina. Montúfar Codoñer had not initially planned to take an image of the light pillars. The fascinating speculation surrounding a recent Kepler observation of a star 1,500 light-years away has reignited questions of alien life in our universe and what it means for future studies. First I really want to emphasize, as I did in my previous blog about KIC 8462852, that the root cause of a very strange Kepler transit signal is most likely due to natural phenomena. (A transit occurs when an exoplanet — or, in this case, something else — drifts in front of its star and Kepler detects a slight dimming of starlight.) After analyzing the unique transit signal identified as being "bizarre" by the Planet Hunters community, researchers did a thorough job identifying a possible mechanism by which significant and distinct dimming events could have been triggered. Among the likely natural causes of the star brightness dimming outlined in a paper submitted to the journal Monthly Notices of the Royal Astronomical Society and made available on the arXiv preprint service on Sept. 11, astronomers looked into debris from a possible planetary collision, the presence of circumstellar rings, starspots, and a clump of comets. All possibilities were investigated, but all were unsatisfactory, except for the latter. WASHINGTON – A mysterious Russian satellite that spent five months parked between two Intelsat satellites left that location in late September and has now cozied up to a third Intelsat satellite. The Russian satellite, alternatively known as Luch or Olymp, launched in September 2014 and seven months later moved to a position directly between the Intelsat 7 and Intelsat 901 satellites, which are located within half a degree of one another in geostationary orbit 36,000 kilometers above the equator. But in late September, the satellite moved again, according to an analysis published Oct. 5 by Brian Weeden, technical adviser at the Secure World Foundation. The revelation that dark streaks flowing downhill on Mars are signs of present-day liquid water has sparked debate on how best to investigate the Red Planet features. These dark streaks, called Recurring Slope Lineae (RSL), flow down steep slopes during warm seasons and fade when the weather is cooler. The streaks are caused by liquid water laden with salts, scientists announced last month. The new RSL findings may well bolster the odds that life exists today on Mars. Moreover, RSL might be a draw for future human explorers, as those sites could lead to underground aquifers on the planet, NASA officials have said. JERUSALEM — China is soliciting international participation in its future manned space station in the form of foreign modules that would attach to the three-module core system, visits by foreign crew-transport vehicles for short stays and the involvement of non-Chinese researchers in placing experiments on the complex, the chief designer of China's manned space program said Oct. 12. But he declined to commit to an international orbital docking technology that would facilitate international participation in the Chinese facility. The Chinese orbital station, consisting of a core module and two experiment-carrying modules, can be expanded to a total of six modules if international partners want to invest in their own components, said Zhou Jianping, chief designer of the China Manned Space Program at the China Manned Space Agency. JERUSALEM – SpaceX on Oct. 16 said it had changed its Falcon 9 return-to-flight plans and would first launch 11 small Orbcomm messaging satellites into low Earth orbit, and then test reignition of the rocket’s redesigned second-stage engine during the same flight before launching SES’s heavier telecommunications satellite into higher orbit, a mission that will need the reignition capability. Luxembourg-based SES said the company was comfortable with ceding its slot to Rochelle Park, New Jersey-based Orbcomm, especially since SpaceX has said it can launch the SES-9 telecommunications satellite into geostationary orbit in late December. Hawthorne, California-based SpaceX said the Orbcomm launch would occur by mid-December, meaning the company will proceed with full development of at least two Falcon 9 Upgrade vehicles and launch SES within a couple of weeks of the Orbcomm mission. NASA's Cassini spacecraft has captured its best-ever looks at the north polar region of Saturn's ocean-harboring moon, Enceladus. Cassini zoomed within 1,142 miles (1,838 kilometers) of Enceladus Wednesday (Oct. 14), performing its 20th close flyby of the icy satellite since arriving in the Saturn system in 2004. The spacecraft has already beamed home some of the new close-encounter images, and more will come down to Earth in the next few days, NASA officials said. Many of Cassini's previous Enceladus flybys occurred when the moon's far northern reaches were cloaked in winter darkness. But northern summer has arrived in the Saturn system, and the recent flyby brought the mysterious region out into the light. Tiny satellites won't have to hitchhike their way to space for much longer. NASA has awarded a total of $17.1 million to three companies to launch miniscule cubesats, which to date have had to tag along as secondary payloads on big rockets. The space agency gave $6.9 million to Los Angeles-based Rocket Lab USA; $5.5 million to Firefly Space Systems of Cedar Park, Texas; and $4.7 million to Virgin Galactic LLC of Long Beach, California, in three separate, fixed-price "Venture Class Launch Services" (VCLS) contracts. A newly released photo provides a great look at Mars' seldom-seen South Pole. The swirling white dot toward the bottom of the photo, which was taken by the European Space Agency's Mars Express spacecraft, is the Red Planet’s south polar ice cap. The cap is composed of both frozen water and frozen carbon dioxide, and it changes shape with Mars' seasons. In 2004, Mars Express confirmed that the south polar cap contains water ice, according to the European Space Agency (ESA). The path to Mars goes through the moon — or the region of space near the moon, anyway. NASA aims to put boots on Mars in the 2030s after first gathering human-spaceflight experience and expertise in low Earth orbit and the "proving ground" of cis-lunar space near the moon. NASA has been working on this three-stage path to the Red Planet for some time, and the space agency lays out the basic plan in a 36-page report called "Journey to Mars: Pioneering Next Steps in Space Exploration," which was released Thursday (Oct. 8). The more scientists learn about Pluto, the more interesting the dwarf planet gets. During its historic flyby of Pluto this past July, NASA's New Horizons spacecraft discovered towering ice mountains and vast glaciers on the frigid body. And now, flyby images recently beamed home by New Horizons reveal that the faraway dwarf planet has blue skies similar to those of Earth. "Who would have expected a blue sky in the Kuiper Belt?" New Horizons principal investigator Alan Stern, of the Southwest Research Institute (SwRI) in Boulder, Colorado, said in a statement today (Oct. 8). The Kuiper Belt is the ring of icy bodies that lies beyond Neptune's orbit. "It's glorious." LAS CRUCES, New Mexico – A space plane that would continue the legacy of NASA's shuttle program is getting ready for a second stage of flight testing, according to representatives from the Sierra Nevada Corp.
At a gathering of the top leaders and innovators in the commercial spaceflight industry here yesterday (Oct. 7), Mark Sirangelo, corporate vice president of Sierra Nevada's space systems division, discussed the status of the two "Dream Chaser" space planes, which could one day fly astronauts or cargo to the International Space Station or other destinations. The vehicle will begin its second stage of testing at NASA's Armstrong Flight Research Center in early 2016. The NASA research center is located in the Edwards Air Force Base in Southern California. A video of Dream Chaser's cargo ship role released in March offers a simulation of what the reusable space plane could be capable of. It shows the vehicle — which can operate with a human pilot or autonomously — hitching a ride on a large rocket, then unfurling itself when it reaches space. From there, the vehicle can rendezvous with the space station. The United Launch Alliance rocket launched the NROL-55 mission for the National Reconnaissance Office (NRO) on Oct. 8th, 2015 from the Vandenberg Air Force Base in California. 13 NRO's GRACE (Government Rideshare Advanced Concepts Experiment) cubesats also flew to orbit on the rocket. Liquid water may still flow on Mars, but that doesn't mean it's easy to spot. The search for water on the Red Planet has taken more than 15 years to turn up definitive signs that liquid flows on the surface today. In the past, however, rivers and oceans may have covered the land. Where did all of the liquid water go? Why? How much of it still remains? Observations of the Red Planet indicate that rivers and oceans may have been prominent features in its early history. Billions of years ago, Mars was a warm and wet world that could have supported microbial life in some regions. But the planet is smaller than Earth, with less gravity and a thinner atmosphere. Over time, as liquid water evaporated, more and more of it escaped into space, allowing less to fall back to the surface of the planet. Where is the water today? Liquid water appears to flow from some steep, relatively warm slopes on the Martian surface. First identified in 2011, features known as recurring slope lineae (RSL) were confirmed to be signs of salty water running on the surface of the planet today. The dark streaks appear seasonally on Martian slopes were found in images taken by the High Resolution Imaging Science Experiment (HiRISE) camera aboard the Mars Reconnaissance Orbiter (MRO) Spectral analysis of RSL lead scientists to conclude they are caused by salty liquid water. WASHINGTON — Blue Origin said Sept. 30 that it has completed more than 100 developmental tests of its BE-4 engine, which the company is building both for United Launch Alliance and its own vehicle. The company said in a statement that the staged-combustion tests, performed at the company's test site in West Texas, provided "measurable performance data" about the engine for its upcoming critical design review. That data covered various elements of the engine's design and its manufacturing techniques, including the use of 3-D printing. TUCSON, Arizona — A new type of space tourism is set to lift off two years from now, without the aid of a rocket. Arizona-based World View Enterprises aims to start launching paying customers to the stratosphere in 2017 beneath a giant balloon, for $75,000 per seat. Passengers will spend two hours at an altitude of 100,000 feet (30,500 meters), where they'll be able to see the blackness of space and the curvature of Earth, company representatives say. "I hear a lot of people say this: 'I don't want to have lived my entire life on this planet and never really seen it,'" World View chief technology officer Taber MacCallum told Space.com late last month here at the company's headquarters near Tucson International Airport. LAS CRUCES, N.M. — SpaceX expects to complete its final report on the June 28 failure of its Falcon 9 launch vehicle within a month, but does not yet have a firm timetable for resuming flights, a company official said Oct. 8. On that launch, of a Dragon cargo spacecraft bound for the International Space Station, the vehicle broke apart less than two-and-a-half minutes after liftoff. In a July 20 briefing, SpaceX Chief Executive Elon Musk said a strut holding down a helium bottle inside a propellant tank in the rocket’s upper stage broke. That caused the tank to overpressurize and burst, destroying the vehicle. PARIS — Mobile satellite services provider Inmarsat, fresh from a surprise win of a U.S. Navy contract for a broad mix of satellite bandwidth, on Oct. 8 said it expects to surpass competitors SES and Intelsat in business volume with the U.S. government. London-based Inmarsat said the U.S. military has been particularly hungry to use the company’s new Global Xpress Ka-band service, whose third satellite is expected to enter service in December over the Pacific Ocean region, giving Global Xpress a global reach. Like other commercial satellite fleet owners, Inmarsat has seen its U.S. government revenue, mainly from the Department of Defense, decline with the troop withdrawals from Iraq and Afghanistan. LAS CRUCES, N.M. — An Israeli team participating in the Google Lunar X Prize competition has a contract to launch its spacecraft on a SpaceX Falcon 9 rocket in 2017, the first launch contract officially confirmed by the prize’s organizers. Tel Aviv-based SpaceIL announced Oct. 7 that it has a contract to fly its lunar lander as one of the primary payloads on a SpaceX Falcon 9 launch purchased in September by Spaceflight Industries. That launch, which will carry about 20 other spacecraft, is scheduled for the second half of 2017 from Vandenberg Air Force Base in California. A United Launch Alliance (ULA) Atlas V rocket blasted a communications satellite into orbit today (Oct. 2), marking the 100th consecutive successful liftoff for the company. ULA, a joint venture of aerospace giants Boeing and Lockheed Martin, now has a 100 percent success rate on 100 rocket launches since its formation in 2006. "Congratulations to the entire team, including our many mission partners, on this unprecedented achievement," Jim Sponnick, ULA vice president for Atlas and Delta programs, said in a statement. Amazing new images show the enormous canyon system on Pluto's big moon Charon in unprecedented detail. The photos were captured by NASA's New Horizons spacecraft during its historic flyby of Pluto on July 14. Mission team members combined some of the images into a new video that lets viewers fly over Charon's tortured surface. A historic NASA spacecraft makes more than just a cameo appearance in "The Martian," the new Ridley Scott movie about an astronaut stranded on Mars. The 20th Century Fox film, which opened in U.S. theaters on Friday (Oct. 2), follows NASA's third crewed mission to land on the Red Planet in 2035. By the movie's timeline, Ares 3 crew member Mark Watney (Matt Damon) walks on Mars 23 years after the space agency's most recent real-life "martian," the robotic rover Curiosity, arrived to search for environments habitable to supporting past and present life. But it's not Curiosity that is in "The Martian." A robotic Russian cargo ship arrived at the International Space Station this evening (Oct. 1), ending a brief orbital chase. Russia's uncrewed Progress 61 freighter, also known as 61P, docked with the space station's Zvezda service module at 6:52 p.m. EDT (2252 GMT), while the two craft were zooming together over the North Atlantic Ocean. The cargo vessel, which is stocked with more than 3 tons of food and supplies for the astronauts aboard the orbiting lab, had launched atop a Russian Soyuz rocket from Baikonur Cosmodrome in Kazakhstan just 6 hours earlier. Progress 61 will remain docked to the International Space Station (ISS) until December, when the ship will depart, full of trash, and burn up in Earth's atmosphere over the Pacific Ocean, NASA officials said. PARIS — Europe's Ariane 5 heavy-lift rocket on Sept. 30 placed telecommunications satellites for Australia and Argentina into geostationary transfer orbit in the vehicle's 68th consecutive success. The satellites — the first of two Sky Muster Ka-band broadband satellites for Australia's NBN Co. and the Arsat-2 Ku- and C-band telecommunications satellite for Arsat of Argentina — were both reported by their owners to be healthy in orbit and sending signals. 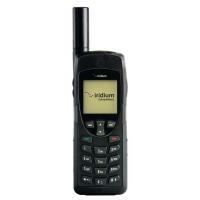 The launch was an illustration of the widening diversity of commercial telecommunications platforms. Sky Muster, built by SSL of Palo Alto, California, weighed 6,440 kilograms at launch and is equipped with the equivalent of 202 Ka-band transponders operating through 101 spot beams. The first private moon landing could be just two years away. California-based company Moon Express, which aims to fly commercial missions to the moon and help unlock its resources, has signed a five-launch deal with Rocket Lab, with the first two robotic liftoffs scheduled to take place in 2017. These uncrewed launches — three of which are firmly on the books, with the other two optional at the moment — will blast Moon Express' MX-1 lander into space aboard Rocket Lab's 52.5-foot-tall (16 meters) Electron rocket. The goal is to test out the MX-1 and its systems, making sure the spacecraft can land softly on the moon, move about the lunar surface, grab samples and return them to Earth. A team of rocketeers launched an out-of-this-world Kickstarter campaign today (Oct. 1) to raise $1 million for "Moonspike" – an ambitious project to launch the first crowdfunded rocket to the moon. The Moonspike project aims to launch a small titanium payload carrying photos and videos from project backers into space, and ultimately crash it into the moon. The resulting dust plume from the impact should observable from orbit, its backers say. While a science return from the mission would be desirable, the main goal is to see if a small group of engineers can create a moon rocket and payload for a reasonable amount of money, Chris Larmour, a co-founder of the project and serial space entrepreneur, told Space.com in an e-mail. It's the first campaign of its kind, with the Kickstarter page going live at 7 a.m. ET (1100 GMT) today. Real NASA astronauts just dropped a little spaceflight knowledge on the stars of the upcoming sci-fi film "The Martian," from 250 miles (400 kilometers) above Earth. Matt Damon, Jessica Chastain and other actors from "The Martian" — as well as director Ridley Scott — got a chance to ask a few questions of Scott Kelly and Kjell Lindgren, the two NASA astronauts currently living aboard the International Space Station (ISS). You can watch the conversation in this new video, which NASA released today (Sept. 30). The questions span a broad range of topics. For example, Damon — who plays Mark Watney, a NASA astronaut stranded and presumed dead on Mars — asked what Kelly and Lindgren did to prepare for their current mission aboard the ISS. This event is being produced by Space.com's Expert Voices: Op-Ed & Insights. On Oct. 22, meet Princeton University artist and mathematician — and Space.com columnist — Ed Belbruno in a public showing of his art at Café Minerva in Manhattan. Join Space.com to celebrate how Belbruno's art unlocks discoveries in space exploration, and experience the beauty of the universe in a whole new way. Inspired by his art, Belbruno charts new paths to travel the solar system and explores the cyclical nature of an expanding, and possibly contracting, universe. Belbruno gained fame at NASA when he successfully plotted a revolutionary route to the moon. Recently, he charted a new course to Mars, modeled how life may spread through the cosmos, and calculated evidence for an ever-expanding and contracting universe — all discoveries unlocked by the swirls, symbols and patterns of his art. 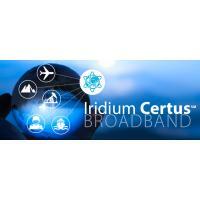 Learn More About Iridium Certus Broadband! 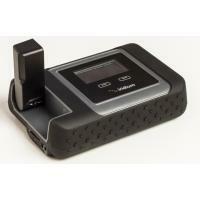 Check Out The New Iridium GO! WI-FI Hotspot!